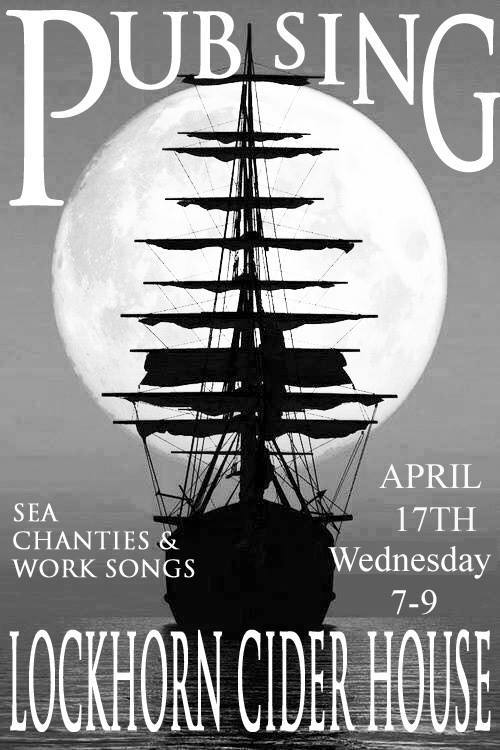 Raise a glass and Raise your voice for Sing along Sea Chanties & work songs at the Lockhorne Cider House*. 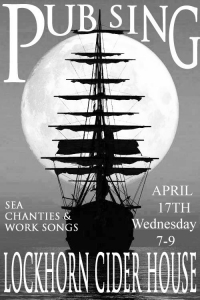 Wednesday April 17th 7-9. No experience required, all are welcome. *non-alcoholic beverages available.